Six singles were taken from Vanessa Paradis' debut album 'M&J', and 'Coupe coupe', released in December 1988, was the fifth one. It was the last one to reach the French singles chart, peaking at no. 22. All previous singles did better, but the single from her second album would all do worse. It would take her until 1992 to return to the French top 10 with the Lenny Kravitz-produced 'Be my baby'. The nice thing about this single is that both tracks were taken from the album, but appear here in a remixed version. True value for money for the fans. 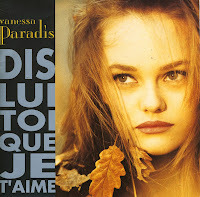 'Dis lui toi que je t'aime' was the second single taken from Vanessa Paradis' 1990 album 'Variations sur le même t'aime'. As with more tracks on the album, the song was written by Serge Gainsbourg. The single reached number 41 in the French singles chart. While this is a relatively low chart placing, the album has consistently been in print in France since its release. Since I'm not based in France the whole Vanessa Paradis phenomenon pretty much passed me by, but she must have been quite the phenomenon back in 1990. Her second album 'Variations sur le meme t'aime' featured songs written by legendary French songwriter Serge Gainsbourg and she sounded a lot more adult than on her debut album, released just two years earlier. 'L'amour en soi' was one of the tracks on the album and released as its third and last single. Contrary to the two previous singles, this one didn't chart. 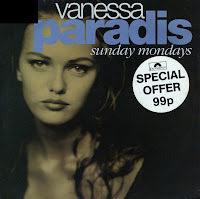 I bought Vanessa Paradis's debut album 'M&J' a long time ago and I thought I had all the singles taken from that album, but I discovered one I didn't know about. Although both tracks on the single appear on the album, it is the nice and moody sleeve that convinced me to buy this one. With her sixteen years, Vanessa didn't really have an engaging voice, but she was fortunate enough to be surrounded by great songwriters and producers. And so, 'Mosquito', the fifth and final single to be taken from the album still reached number 22 in the French singles chart in early 1989. Vanessa Paradis debuted in 1987 with 'Joe le taxi', and then followed it up with 'Manolo Manolete', a song about a Spanish bullfighter. The single only managed to reach number 10 in the French singles chart, but flopped everywhere else. As a result, the track did not appear on her debut album 'M&J', released in 1988. 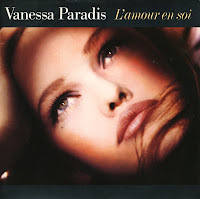 Vanessa Paradis released the second single from her third album in January 1993. Like its predecessor 'Be my baby', 'Sunday Mondays' was a track with a very retro feel. No wonder, since the entire album was produced by Lenny Kravitz, the king of retro. The single was a minor success, reaching number 41 in France, number 49 in the UK and number 28 in the Netherlands. As far as I know, there were no further releases by Paradis on the 7" vinyl format. In 1992 Vanessa Paradis moved to the United States, aged just 20. For some time, she was romantically linked with Lenny Kravitz, who also produced her first English language album, also released in 1992. The album topped the French album chart and even reached number 45 in the UK albums chart. The first single taken from the album was the retro-sounding 'Be my baby', which made number 5 in France, number 6 in the UK singles chart and number 7 in the Dutch Top 40 - her only top 10 hit in the Netherlands. Young Vanessa Paradis followed up her debut album 'M&J' (1987) with a second album, 'Variations sur le même t'aime' in 1990. On this album, she had French music legend Serge Gainsbourg compose songs for her. The track 'Tandem' was released as one of the singles from the album. I bought the single without having heard it, because sometimes I like to experiment a little. Even though the song did not touch me back in 1995, I have to say I quite like it now that I've heard it again. At only 18 years old, Paradis was making some very mature music. I saw the music video for Vanessa Paradis' single 'Maxou' a couple of times in 1988 or 1989, and the song always stuck in my mind. The video was very cute (although it is a bit risqué with all those sensual images of a very young girl) and the music was very beautiful. After I'd found the cd of the album 'M&J' I started searching for the 7" singles as well. 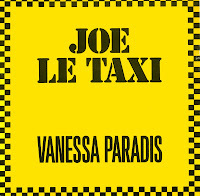 In the Netherlands they were very difficult to get a hold of, because Paradis was a star in France only after her international hit 'Joe le taxi'. But I succeeded. The single also contains the best album track on the B-side. 'Marilyn & John' was the title track from Vanessa Paradis's 1987 debut album 'M&J', and one of the strongest tracks on the album. Sounding very unlike the debut single 'Joe le taxi', it was a hit in France but didn't reach the charts outside of France like the debut single had. I got to know the track because I'd bought the album some time before. And as usual, when I like an album I have to have the accompanying singles as well... It's a strange habit but someone's got to do it. Vanessa Chantal Paradis was born on December 22, 1972 in Saint-Maur-des-Fossés, a suburb of Paris, France. She appeared on television for the first time on the show 'L'école des fans' in 1980. Five years later, she recorded her debut single, 'La magie des surprises-parties'. Although this was not a hit, her next single, 'Joe le taxi', released in 1987, was. At only 14 years, Vanessa Paradis topped the chart in France for a whopping 11 weeks with this single. It stormed the European charts as well, peaking at number 3 in the UK singles chart and number 23 in the Netherlands. A successful career would follow.